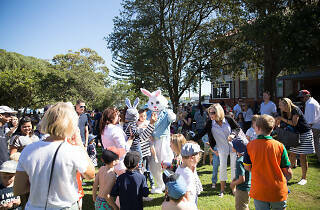 They’ve got a cracker of a long weekend planned at Watsons Bay Boutique Hotel to celebrate Easter. 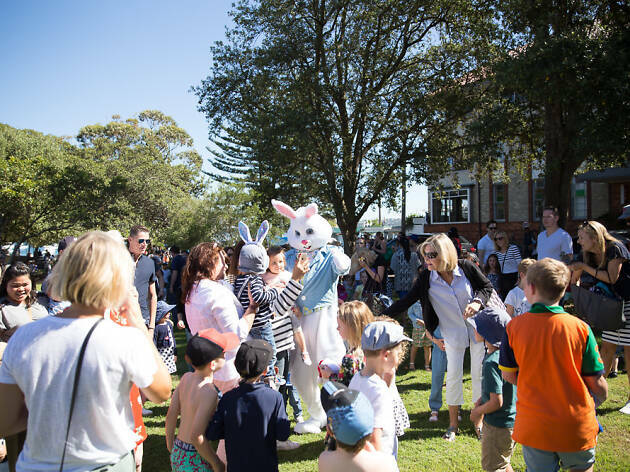 It’ll be a family-friendly affair with egg hunts – in the building and under the sea – games, Easter feasts and dance parties for bigger chocolate lovers. You can plan your long weekend itinerary to make time for the creme egg of the crop of events. Good Friday brings Easter egg hunts inside the hotel and around the surrounding grounds, a holiday family Olympics with egg and spoon races and parachute games, a pancake parlour with free cakes for the kids and then DJs spinning tracks from 1pm. On Saturday there’s more dancing and egg hunts, but they’re adding a petting zoo, face painting and balloon artists to the mix. They’ll also be hosting the bunny brunch with a buffet of Easter treats plus crafts and games. Easter Sunday will see more arts and crafts plus the popular Aqua Egg Hunt, where kids splash into the bay searching for balloon weights that’ll score them prizes back on shore. Then, of course, there’s more dancing for the grown-up egg hunters. What could be left to do by Monday, you say? Even more dancing to live DJ beats and more cuddles at the petting zoo. You'll need to register or book for some of the experiences, but general entry is free.